How Much is the UP MBA Tuition Fee? The UP MBA season is about to start and that means **ahem** **ahem** – TUITION FEES! UP MBA tuition fee is quite expensive than other graduate courses in the UP system; maybe because of the demand it generates. A school year consists of 3 terms (tri-semester) while every subject in a UP MBA term consists of 2 units. A unit cost P2,500 each. Quite expensive? Considering the quality of education anyone can get, I think it is reasonable. UP MBA tuition fee costs a little more than 17,000 on the 1st and 3rd term (6-unit term) depending on the miscellaneous and library fees. On my experience, UP MBA tuition fee will go north of P17,000 in the first term only due to the library fee charges. The next 6-unit terms will then cost a little more than P16,000. The 2nd term UP MBA Tuition fee will only cost around 11,000 because only 2 subjects are scheduled (4 Units). That’s about it! Just be ready to shell out extra bucks for the books and the late night case meetings in nearby coffee shops! The UP rule on attendance still applies.20% of the total classes are allowed, beyond that you can be given a grade of 5.0 . However, instructors rarely checks attendance (maybe because I’m in the part time program). Anyway, your grade will reflect your attendance because of the fast-paced course instruction. Thanks for the info! I have nothing more in mind but UP if I’ll take MBA. Good Morning Sir , is there a scholarship for MBA in UP ? how to avail it ? There is. I don’t have the exact details. Better to inquire in UP Diliman to get the exact information. Thank you sir. Your page is really helpful. Thanks again. Your welcome ginny! Good luck on your MBA. Hi, I really wanted to apply for the UP’s MBA program next year. However, I work from 1 to 10 pm. I am not sure if I could take day program. What time do day classes usually ends? I’m afraid you have to change work schedules coz’ the UP MBA full-time program usually conducts classes in the afternoon and the part-time program class hours are from 6:30PM to 9:30PM Tuesday to Friday. You still have lots of time to plan if you really want to take your MBA in UP. Thank you for your blog! 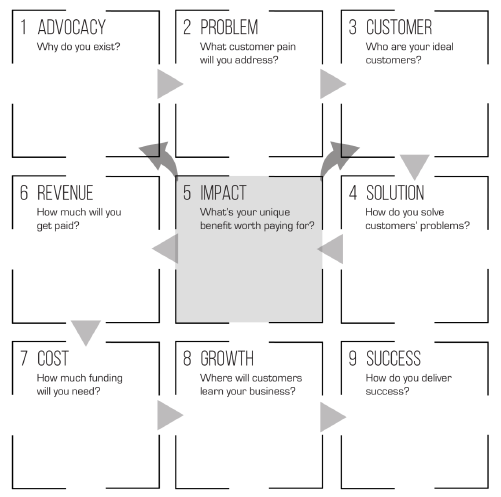 This is very helpful for an aspiring MBA student like me. Would you happen to know if they offer classes during weekends? Like at least 2 days then the other 2 will be during weekdays? MBA part-time program don’t offer classes on weekends. Classes are from tues to friday 6:30pm to 9:30pm. I would just like to ask if UP offers weekend classes for MS Finance course? Me and my colleagues are planning to enroll next year but our working schedules are so hectic we cannot afford to attend classes during weekdays. Any advise Sir? Hi RM, good day! I am planning to take the part time MBA program. Do they offer classes on weekends or only weekday evenings? Thanks. I think for an institution like UP, the tuition is very reasonable as compared to other MBA programs like ADMU and La Salle, plus the fact I reside in QC. Ask ko lang po if ano requirements para mag take ng MBA sa UP? Required po ba ang working experience and prev. grades ko sa college? Yes, 2 years work experience for full-time MBA and 3 years work experience for part-time. There are grade requirements but you can still apply even if your grade is lower than the required GWA. Hi Sir Nisperos, would you happen to know kung 1) Ilan ang minimum units na pwedeng i-take for a particular sem? 2) May Scholarships po ba sa UP? What if Bracket C yung student applying for MBA? 3) Regarding Full time program, ano po ba usually ang schedule? (Time and Days per week). 3. I’m not sure on the bracketing for full-time MBA but in part-time it doesn’t apply. Hi sir, just wanna ask kung ilang sections ang MBA sa UP? Pede bang ako yung mamimili ng schedule sa subjects ko? Or block section lang meron? Thanks! Depends sa applications. In my experience, our batch has 3 blocks around 40 each. Yes you can pick subjects but the choices will be limited especially on the Part-Time program. Only 6:30-8 and 8-9:30 subjects will be offered. Thanks for the prompt response! Follow-up questions lang po: Since I work at night (8pm/9pm onwards), advisable ba na magfull-time na lang ako since di ako pede sa part-time schedule? Or need ko mag-resign para ma-accommodate ako sa full-time? Ang understanding ko kasi, yung full time is for those who will be full-time students, as in walang work. Also, ano po schedule pag weekends sa full-time? Baka kasi may class na as early as 8am, para mapaghandaan ko na din. And lastly, may STS/bracketing din po ba sa MBA? Usually full time means flexible working hours and no work. Full time MBA (1.5) have day and night class schedules while part time (3 Years) only has night schedule . I suggest applying then passing the entrance exam first before going ahead of yourself. You’ll definitely know what to do once you got there. If I am not mistaken, there ano no STS/bracketing for MBA students. There are scholarships only for a handful of full time students. Hi Sir I would just like to ask, tapos na po yong application for this year 2015-2016 class tama po ba ako? kelan po kaya ako pede mag apply for next SY? thank you. I’ve been reading your posts since GPAT. Thank you for forwarding me a reviewer and for the tips during the interview and proficiency exams. Now, I have passed the 2nd proficiency exam and wondering about the payment system. Do you have to pay the full amount during enrollment or one can just pay partial and pay the remaining before the midterm or prelims. I’m sorry, my undergrad is not from UP and I have no idea about paying tuition fees (I was a scholar, so there..). You have two options. You either pay the full amount or you obtain a student loan from UP. The student loan requires you to pay your tuition at the end or each sem with a little interest. There is no installment in UP, I’m sorry. Hope this helps. Congrats by the way! Hi! Just wanted to ask how long it would take to graduate if full time MBA? Good morning, ask ko lang po if kailangan ko po ba munang mabuo yung 3 years work experience ko before ako makapag take ng Masteral or pwedeng kahit almost 3 yrs then proceed ko na yung application for masteral? This is great! I’m planning to make a post on MBA program FAQs. I’ll also link this post. On books–my classmates are very resourceful so the books I only ever had to buy were the VSB-published books. It’s also great if you have friends whose undergrad degree is BA, they’ll have most of the books you need. Sure May! I have lots of books other than the VSB published books. 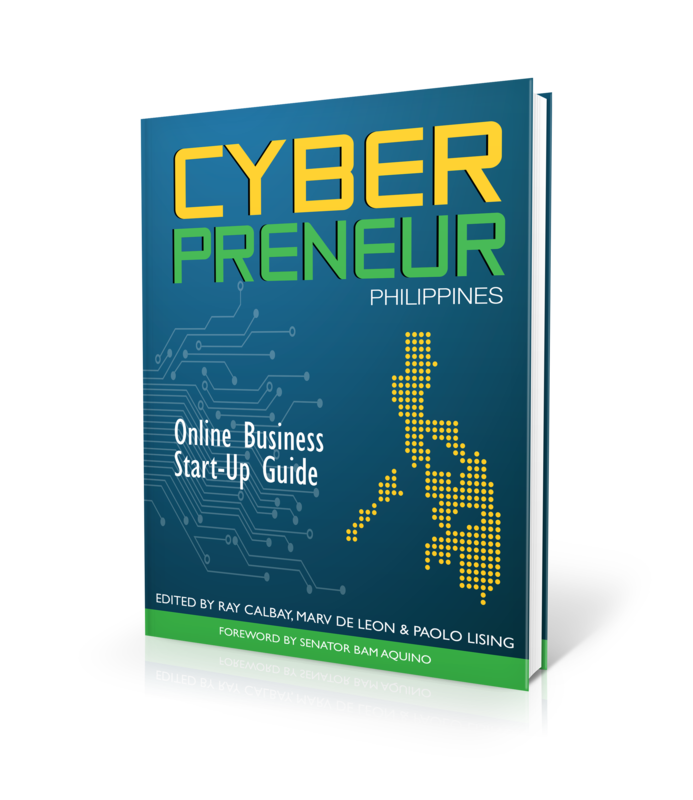 Lets collaborate on your UPD prof guide. Thanks! Hello RM — thank you for you blog. I find it very helpful. I am planning to take MBA next year. I’m not really sure the policy on this years’ application. During my time, Cesar Virata School of Business UP Diliman accepts application even if your GWA is below the requirement. From what I know, UPD will weigh your application based on what you submitted (application forms, transcripts and recommendations) and the grades you got on the GPAT exam. Its still not the end of the world I think and you do not need to get elective for you to be admitted in the UP MBA Program. For, one you need to have superb recommendations. Plus, you just need to have exemplary GPAT results. I myself had a GWA lower than yours yet I got admitted and eventually finished MBA. Maybe I got good GPAT scores but I really don’t know as I haven’t seen my results. I suggest you apply and ace the GPAT. Good luck!!! Thanks RM! The 2.75 grade in aud theo(6 units) got me that .03 above the required GWA. Hahah. I will check with UP-D if they will accept my application. I cant remember anything about algebra and calculus so i should be a little worried haha. Need to review the basics. Hi sir! What if hindi makapagbigay ng recommendation letter coming from your boss or supervisor kasi ayaw mong ipaalam na nag-aapply ka for mba program? May alternative ba para sa requirement na yun? You need recommendations from anyone. I’m sorry I’m afraid there are any other alternative. You could try your college advisers. Good day, Mr. RM Nisperos! Are the rates given in this thread still up to date ? Hi Gian! I believe it still the same. UP doesn’t really change rates often. You can still re-apply if na reject yung first application mo? Yung hindi ka pa umabot sa exam? Same lang ba ang sa MBA sa UP Diliman and UP Manila? Possible reason/s why immediately rejected ang application. Yes, you can still re-apply. I don’t think there is an MBA Program in UP Manila. If rejected, most probably you lack requirements. I’m really thinking of taking up MBA but I’m really short of resources, and even knowledge in business. I’m a graduate of BS Psych with very minimal to no business subjects at all; but just this June, with all courage I accepted a job in Business Development to establish and run a Canadian company here in the Philippines. With all honesty, I feel lost and incompetent at this moment. I want to prove that I can do it though, since doing business has really been my passion even before I mistakenly took up BS Psych. My question is, after finishing your MBA degree, do you think it will help me in my situation “big-time”, or do you have other recommendations for me to be able to keep up with the Corp. World? Also, given that I have very basic knowledge in economics, accounting, marketing, and all except HR & OrgDev., do you think I can keep up with the pace of MBA in UP? I literally have to strt from scratch with all the numbers and theories in BA. Absolutely. MBA can help you big time as you will be able to apply what you learn in your Career. All can keep up with MBA studies. I think anyone just need perseverance and hardwork to finish MBA apart from the technical know how. As long as you have experience in the Corporate World, you can use that as your starting point. Personal advice on you, don’t think what you can’t do until you try entering the program. I assure you, you’ll learn that you can take on more challenges like this one. Good luck to you! Hi, RM. Just wondering if you have any idea whether classes for SY 2016-2017 will already be conducted in BGC or still in Diliman? Exactly my sentiments. Sana May BGC na, 6pm out tapos 630 yung pasok aww. I heard that UP BGC is still a long way to go.. 1.) kung what exact date pwede mag apply for nearest SY? 2.) may removals po ba pag hindi na-meet yung required grades per sem? I would like to ask, for part time, Tuesdays & Fridays lang po ba schedule? Tue/Tue or Wed/Fri. Pwede rin one day kapag may schedule. Ask ko lang po if pwede na tig 2 subjects lng itake ko every sem AND kung kailan po pinakamalapit na enrolment for 2016. Yes you can take 2 but subject for approval. I think the application for entrance exam has passed. Please check the UP MBA website for exact details. Hi! I really want to talk MBA in UP next year, but because of my work schedule I am only allowed to take up classes during Saturdays. I am open to do part time program, but are there any Saturday classes available or an online program I can enroll to? Thanks for the help and this post is really helpful! There aren’t any weekend classes nor an online program for MBA in UP. You really need to go through the weekday scheds. Its Tue to Fri 6:30 to 9:30. Expect to have 3 subjects per term. 3 subjects on 1st & 3rd term then 2 subjects on 2nd term. 1) How long would it take to finish MBA in part time schedule? can i just take 2 subjects each sem? 2)when is the best time i must start preparing my papers and all before I register for first sem example SY 2017? 3) the course requires books for sure but what is the price range perhaps? 1. 3 Years. Yes you can take but it requires approval. 2. You should prepare as early as you can. 3. Yes. All subjects require books, around 1-3K. How much was the total cost for the whole MBA degree, tuition and books. Please specify the program. Thanks. Thank you for being so kind. I will go through the reviewer and hopefully come up with a solid plan on how to go about my interest in pursuing MBA. 1. For the letter of recommndations, should they come from current employer/most recent employers? 2. And for the certificate of employment, do they require certain contents for this, or the standard employment certificate given by companies will do? 1. It is best if it comes from the latest employer and the recommend comes from an senior manager/executive of your company. 2. Just the standard on that certifies your work experience. Thank you for sharing your reviewer for the GPAT. I’d like to ask if it is possible to shift from part-time to full-time program later on? Hi Sir, your posts are really big help. I’m planning to take MBA this year but im not confident in taking GPAT yet. I think i need time to prepare and review. I would like to ask help if you can share with me review materials. im planning to look GPAT reviewer in national bookstore as well. Thanks. It’s on the bottom part of the page. BTW, it’s free. I just hope you can like my page and post a testimonial on my facebook page: https://www.facebook.com/RMnisperoswebsite/ to say thank you. I doo hope you pass and the reviewer can greatly help you in your GPAT exam. Good luck on your MBA Journey! Sure! Just put a link on your blog. Thanks! Will take GPAT on sunday, may I ask for your reviewers? thanks!!! I wasnt able to make it on their deadline for submission of requirements for admission for AY 2016-2017 (which is 1 Apr 2016), can I enrol on the 2nd sem instead? So does that mean that the next enrollment will be on April 2017? What are the usual requirements that UP needs for the MBA program? I heard they will have in BGC too? You can check the UP MBA Application page for guidelines. For starters, you need work experience 2-3 years and 2.0 grade average. You also need some recommendations from your mentors. I think BGC CSV will open next year. Absolutely. You just need to pass the entrance exams. Hi! I have been following your blog since my application for AY 2016-2017. Question, If you are not on the list of conditionally accepted applicants it means you failed the exam, right? Thanks! I really would like to take MBA, but im thinking of enrolling review centers that offers GMAT preparation. Any suggestions? I also hope you could share me your GPAT review materials? Thanks in advance. Hi ser, assuming that I did passed the UP MBA entrance exam , How much the tuition per sem if will take it full time? and how much is the accumulated interest , (percentage) if I would avail the student loan? Hi, ask ko lang kung kailan start ng first semester in UP MBA. I took the first proficiency test this month and still waiting for the result, and i’m thinking of enrolling in another course for this june-oct semester in other school, and i don’t know if this is a good idea if i will be admitted in UP MBA program. And also, how difficult is UP MBA program for an average student, if enrolled in full time program, will it requires lots of time? Thanks. Hi RM. Would the tuition be the same if I’d be taking MS Finance? Would it be the same GPAT for both programs (MBA and MSFinance)? I understand there’d be 22 units only for MSFin so a part timer can graduate in 1.5 years? And lastly when is the start of class for MSFin? Thanks much for your reply and this blog is very helpful. Its the same. I’m not sure on the length of MSfin Students. From my time, I think it’s also the same with the MBA program. Thanks for the prompt reply. And thanks too for the GPAT reviewer. It’s really a big help. You’re welcome! I hope you get in the MBA program. Good luck! Hi Angela! I’m not quite sure. From what I know, there will be extension colleges of Virata School of Business and UP Open University. Most probably, there will be MBA there and Open U courses. Hi. I admire how you accomodate all queries in your blog. I understand that I cannot anymore be enrolled in UP BGC FOR AY 2016-2017, however would you know if I can like process the requirements for next year’s AY? Ps, i looked for contact details or website for UP BGC but I found none. I’m really not sure about this but UP BGC would only house a satellite office in UP VSB. So I think you still need to apply in UP Diliman if you want to be enroll in BGC. Again I’m not sure about this. Hi, I’m enrolling for MBA for this trim, may tuition loan po ba talaga for VSB grad students? I know meron sa ibang colleges for postgrad since I did it during my MS Engineering days. Just making sure, medyo may biglaang gastos this July eh. There is. I don’t really remember if there is in VSB. I think its the same loan facility as the undergraduates. Hi. Is it possible to enroll on the mid of the AY? I mean i fail to apply for admission this AY2016-2017 can i enroll this coming semester? Nope. You need to take the admission test the following year. Retook one subject of the proficiency exam just this Saturday and I can say I am confident of getting admitted. The challenge for me, who is working in Makati, is getting to Diliman in time for the classes. How did you (or your classmates in case you work near Diliman) manage the traffic and all transportation woes in between Makati and Diliman. Congrats! Maybe you need to have an arrangement with your current company. All of my classmates made that arrangement since you really can’t get to QC from Makati of you will leave around 5PM. i would like to ask if 1 year experienced is enough to take MBA in UP? ?Is there any consideration about work experienced?? No. They are strict on the 2-3 years experience. Your blog really inspires me to pursue MBA. Most of my queries were already answered. My question is, do you think passing the CPA board exam would give me an edge in applying for UP MBA program? When is the MBA course going to open in BGC Campus? 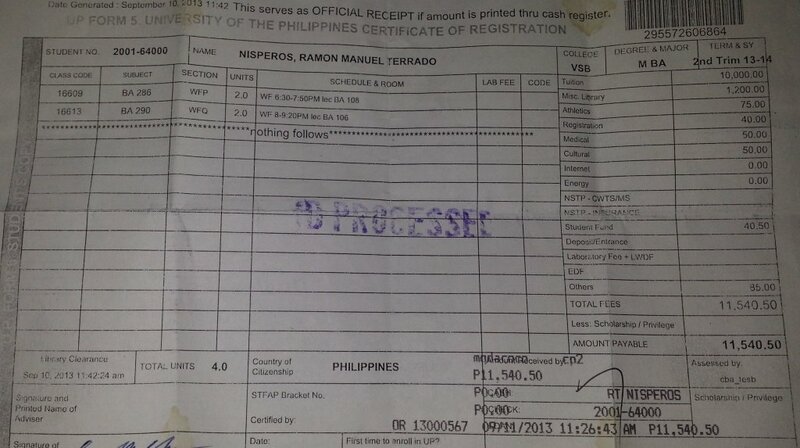 I’m currently enrolled in other univesity but planning to transfer in UP, may I ask what is process if transferee. Your blog is really useful. Can I inquire where to get your GPAT reviewer. Also when is the next school year opening? Since 2016-2017 is already closed. What if GWA is not 2.5, will my application still be considered? Hi, may I ask what is BGC? Thanks for your blog, it’s really helpful specially for me as I am keen to take MBA or MSF next SY. Any advise which one is the best to take for someone like me who graduated BSBA major in Mngt Accounting and would like to pursue career in banking industry? Thanks in advance. I just want to ask, Ive been in the BPO industry for 3 years with different companies; first is 8 months, second is 1 year and 4 months and Recently I’m on my 8th month. I am a graduate of Information System (4 year course). Am i qualify to take MBA for the SY 2017-2018? How much is the total amount to pay on the first year first sem? Thanks SIr. May marerecommend ka bang reviewer for GMAT or GPAT na nabibili sa bookstore? Thank you. Just want to prepare. God bless! When I took the GPAT I just bought the cheapest GMAT reviewer. May I ask if the UP BGC already accepting enrollees for SY 2017-2018. I’m planning to take MBA on June next year for Saturday class. 1. availability of subjects every Saturday – I’m available only every Saturday. What could be the possible problem/s (if any) for this schedule? 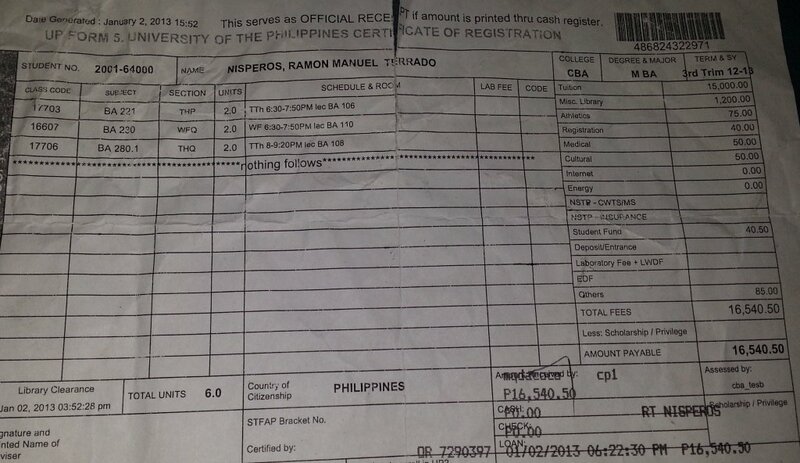 2. current tuition fees – was it still around P 20K? 3. requirements for 2 letters of recommendation – what is the eligibility or who are allowed to make recommendations for me? Thank you for the GPAT reviewer! I pray to get in the MBA of UP BGC for the upcoming SY. God bless! I am currently undergoing a 10-month management training program. Can I include my 10-month long training in accumulating the required 2-year work experience in the full-time MBA program? Or the counting will only start after my training? Thank you in advance, Sir. Hi. Ask ko lang kung ung day program nalang ba ang sa UP Diliman? And how about the tuition, same lang kaya sa Diliman and BGC campus? The per unit tuition in BGC is very high already- P 4,500 per unit. Do you know any scholarship the UP is offering for MBA Program? None for part-time. I think there is for full-time students. How did you confirm details about the part-time MBA program in BGC? Do you know any website providing more details on UP BGC MBA program? What’s the admission process there? Really thanks for the reviewer BTW. Hi Sir, I’d like to ask how much is the admission fee for MBA evening program? On our time it’s 2,500 per unit. I think it will be higher when the evening program transfers to BGC. From what I heard its 4,500 per unit though I am not 100% sure. Please do check at UP MBA admin. Q: Does this mean evening program will be transferred to BGC? and there will be no evening program in UP Diliman? Yes, you are correct. All evening classes will be on BGC unless they overruled their decision.